We now offer in-house Large Format Digital Printing, thanks to the arrival of our new Roland SP-540V Digital Printer. 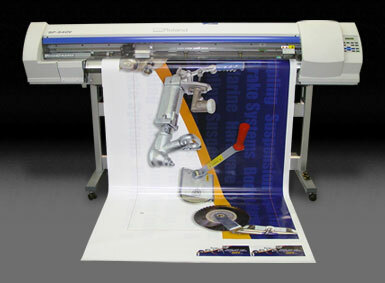 We can print up to 1300mm wide by over 15m in length!. We use the latest ECO-SOLVENT ink technology in combination with a UV stable clear laminate to provide scratch and fade resistant prints for 5+ years.